Once a year, for the twelve hours between sunset and sunrise, key streets in downtown Toronto shut down, and a series of artistic visions transform the urban landscape into a dream- (or nightmare-) scape of sometimes banal, occasionally extraordinary and oft-haunting projections. This is Nuit Blanche, a street art festival. 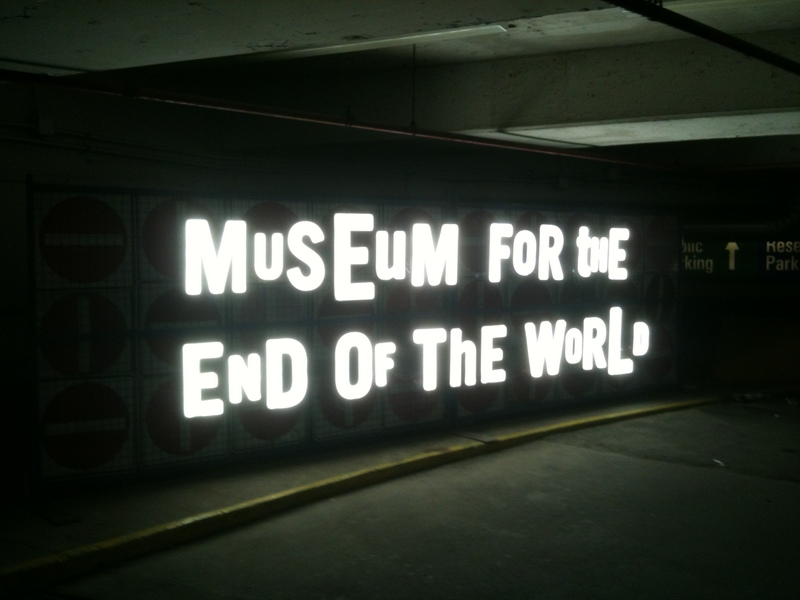 Museum for the End of the World. Photo by Kathryn Anthony.